Chantel Thompson, our MixxedFit® instructor, fell in love with MixxedFit® in 2014 after feeling a need for a positive change to her fitness routine. She found that the MixxedFit® combination of explosive dancing, boot-camp toning and an awesome current playlist provided her with everything that she was looking for in a great workout. 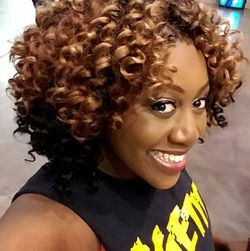 Chantel has been a licensed MixxedFit® Instructor since 2015 where she taught MixxedFit® throughout Hampton Roads, Virginia before recently relocating to her hometown of Philadelphia. As a MixxedFit® instructor, she has participated in numerous health promotion and fitness events geared towards subjects such as stress management, domestic violence, PTSD, lupus and breast cancer awareness.